Brunch is arguably one of the best meals of the week, and it’s basically synonyms with Bloody Marys. Made primarily with tomato juice and vodka, this classic breakfast cocktail is sometimes served with a twist such as a slice of bacon or eye-catching garnish. However you like them, one thing is for certain… brunch just isn’t complete without one! 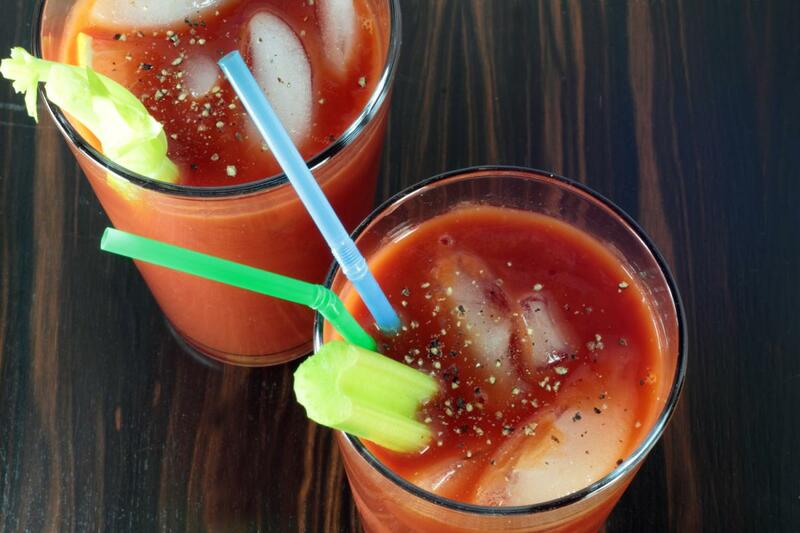 Keep reading to find out where to get the best Bloody Marys in Sarasota and get your brunch-time booze on! MADE, which stands for Modern American Delicious Eats, has won awards such as Best Brunch, Best New Restaurant, and Best Local Sarasota Restaurant. Their MADE Bloody Mary includes Finlandia vodka, a house-made Bloody Mary mix, Nice Guy Mike's Groovy Garnish, and billionaire bacon with the added option of house-made jalepeno-infused vodka. De-licious! Libby's Cafe + Bar specializes in New American cuisine and has two full bars, making it the perfect place to brunch and sip on Bloody Marys. On Sunday mornings, they offer a $35 brunch buffet from 10:00 a.m. to 2:30 p.m. with a bottomless mimosa and Bloody Mary bar for only an extra $5! If you're looking to grab brunch with your furry friend, The Old Salty Dog has outside seating overlooking the water that's dog-friendly. This British pub's brunch menu features a tasty Bloody Mary with beautiful views of the bay and a great family atmosphere. Located in the heart of Siesta Key, the Sun Garden Cafe has an extensive breakfast menu featuring breakfast sandwiches, Eggs Benedict, omelets, and Bloody Marys, of course! Known for their amazing breakfast and relaxed atmosphere, this is the perfect place to kick back and enjoy a lazy Sunday morning. Siesta Key Oyster Bar, or "SKOB" as the locals call it, is a hot spot for those who want to hang out in an easy-going, beautiful locale. Their Sunday brunch is served from 9:45 a.m. to 11:45 a.m. and offers both traditional breakfast options as well as unique choices like sweet potato and coconut pancakes. The best part about this place? All breakfasts are served with one complimentary mimosa, screwdriver, or Bloody Mary. Breakfast and booze? Count us in! In St. Armands Circle, Crab & Fin is known for their fresh and uniquely-plated seafood. Their Ultimate Bloody Mary puts an "under-the-sea" twist on the classic, made with Russian Standard vodka and spiced-up Bloody Mary mix. It's then garnished with dill pickle, celery, lemon, Heirloom tomato, and jumbo shrimp then topped off with an Old Bay rim. Whether it's a trendy girls' breakfast out or a lazy Sunday afternoon, brunch is definitely the best way to dine on the weekend. With these great spots, you're ready to get your brunch game on with the best Bloody Marys in Sarasota. Find more great breakfast restaurants in Sarasota like these by registering on 941area today. Your subscription is always free!